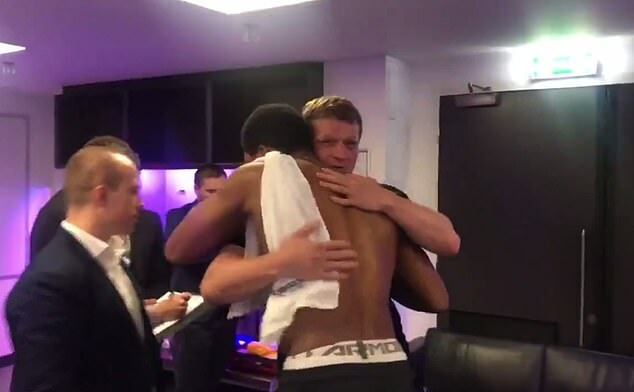 Anthony Joshua and Alexander Povetkin engaged in a respectful shake of the hands in the Wembley locker rooms after their bruising fight on Saturday night. 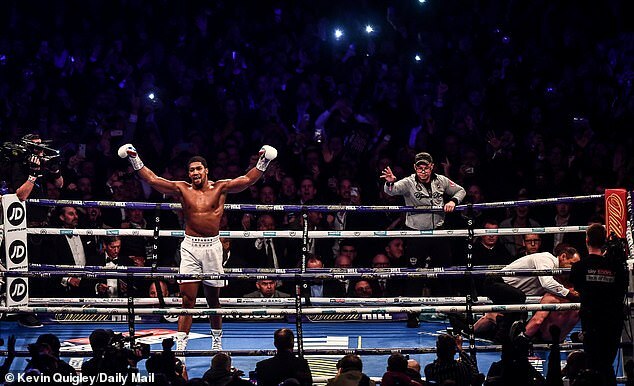 Joshua put on a dazzling performance in front of a raucous 80,000 crowd as he emphatically knocked out the Russian mandatory challenger in round seven. 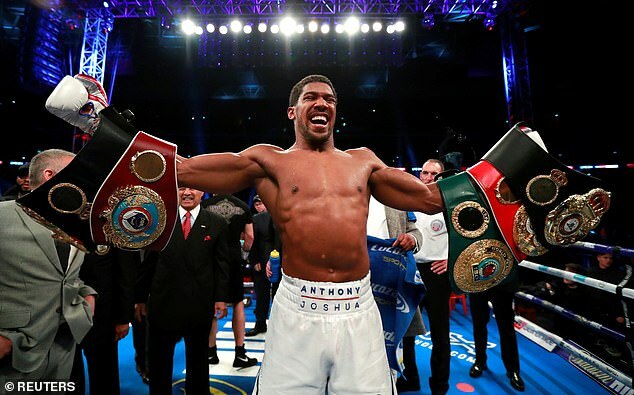 It came after Povetkin had dominated the early stages of the fight, leaving Joshua with a bloodied nose, only for the British star to gain control late on and put an end to the fight early. 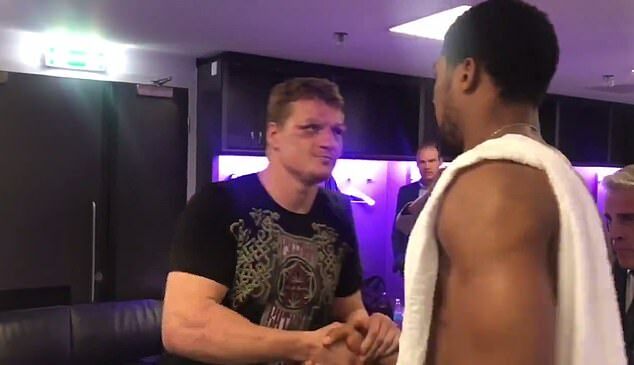 In a video posted on Joshua’s Twitter account, he can be seen entering the dressing room and shaking hands with Povetkin’s entourage. He then offered some kinds words to the Russian through a translator. ‘That’s all. That’s respect. You’ve been good from amateur, very consistent.’ he said. 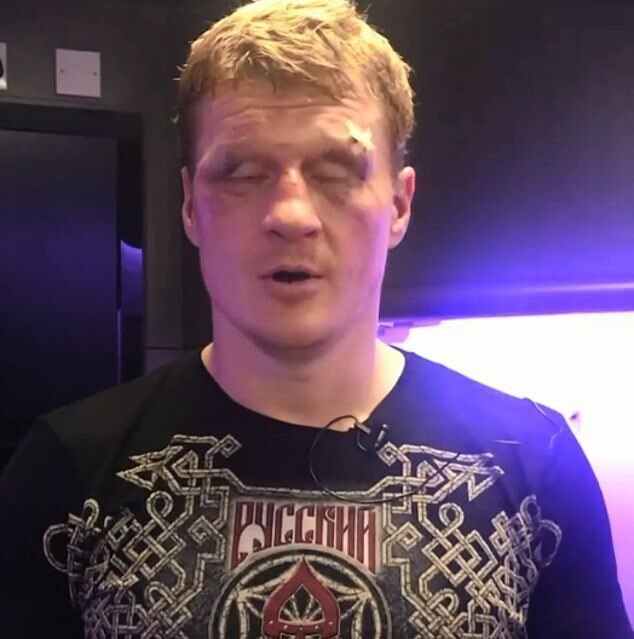 Povetkin replied through his translator: ‘You’re welcome anytime’. 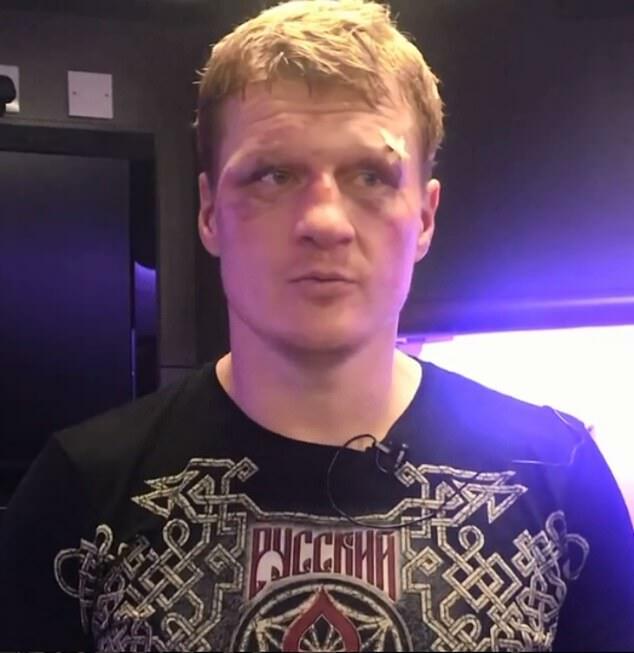 The Russian posted a video on his own Instagram later in the evening and his busted up face was clear to see with bruises around his eyes and a cut on his left side. Joshua admitted after the fight that he wants to face American Deontay Wilder in his next Wembley showpiece, scheduled for April 13. As he was handed a microphone for a post-fight interview, Joshua revealed his No 1 target for his next fight is Wilder, the man who has so far evaded his clutches. ‘I’m not in the blame game,’ Joshua said when asked why previous negotiations with Wilder collapsed. ‘We both did a lot of talking, I’m here now, I found my right hand and I’m lining up for April 13.